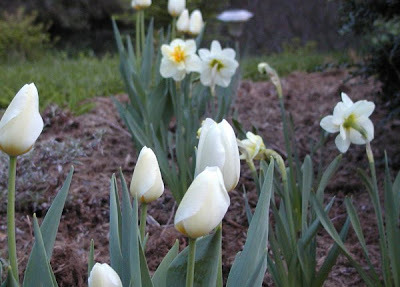 We started a new flower garden last year on the south side of the Lake House near the Mountain Laurel Room. The garden consists of plants with white flowers and/or silver-foliage. The garden is still in its botanical infancy, or, as we like to say, it’s budding. Last November, we put in the first of what will likely be dozens of bulbs if Brigette has her way, and these first bulbs made their debut this week! 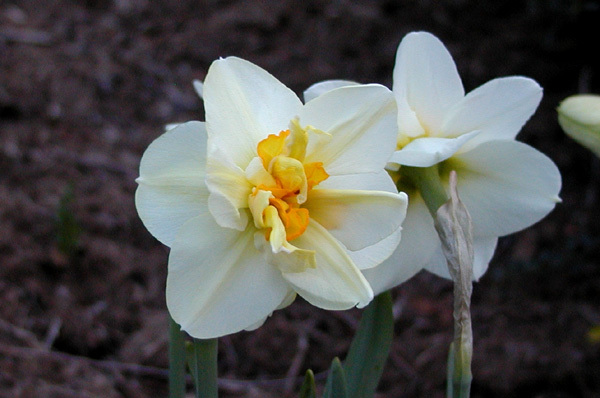 We have white tulips and white daffodils (with a splashy center, pictured above). Coming up next in the bloom schedule for this garden are our white bleeding hearts, then the white peonies (just peeking out of the ground now), then two varieties of white roses should be next, followed by white daylilies and daisies, as well as our miniature white butterfly bush and white yarrow. 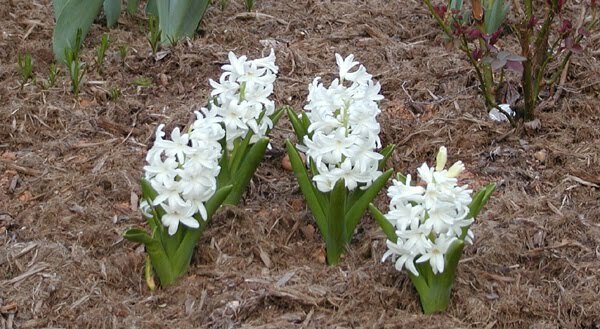 In the next few weeks, we’ll be planting some white annuals as well as a shrub or two…still deciding which shrubs to choose…stay tuned!